Airing as a global event on FOX and National Geographic, the award-winning Cosmos will return for its third season in Spring 2019, this time titled Cosmos: Possible Worlds. It will once again be executive-produced by Ann Druyan and Seth MacFarlane (Family Guy, The Orville) Brannon Braga, and Jason Clark, all three of whom worked on 2014’s Cosmos: A Spacetime Odyssey. 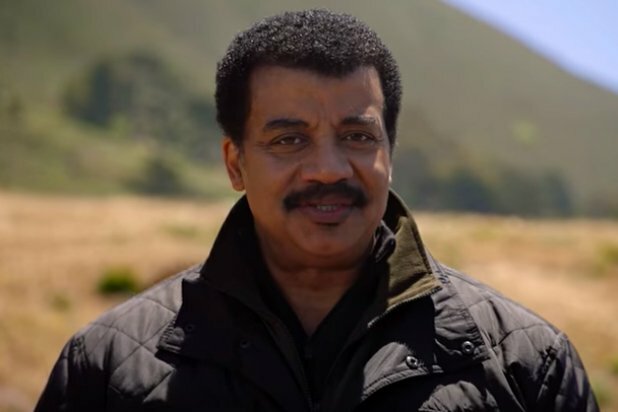 Neil deGrasse Tyson, the pop-culture icon, astrophysicist and host of the Emmy Award-nominated StarTalk, will return as host for the globe-spanning season. Check out the behind-the-scenes clip below! Co-created by the legendary astronomer Carl Sagan and Ann Druyan in 1980, Cosmos has transported a global audience to the farthest reaches and most deeply hidden recesses of the universe. In the course of those journeys, the series has examined the real stories of the forgotten searchers who helped us understand our place in the universe. The wildly successful second season, Cosmos: A Spacetime Odyssey, was seen by more than 135 million people worldwide, and the most-watched series ever on National Geographic Channels internationally. Now, Cosmos: Possible Worlds will premiere in the U.S. on both FOX and National Geographic and globally on National Geographic in 180 countries and 43 languages. Cosmos: Possible Worlds will continue the legacy of its predecessors, translating the revelations of science into a lavishly transporting experience, taking audiences on a series of spiritual voyages of exploration. We are living in the golden age of discovery of new worlds to explore and possibly inhabit. In the vastness of time and the immensity of space, their number and the stories they contain are virtually infinite. The new season will reveal previously uncharted realms, including lost worlds and worlds to come, and those that we may one day inhabit in a thrilling future we can still have. In addition, National Geographic Books also will publish a companion book, Cosmos: Possible Worlds, by Ann Druyan, the long-awaited follow-up to Carl Sagan’s historic international bestseller, Cosmos: A Personal Voyage. The series is produced by Cosmos Studios, co-founded in 2000 by Ann Druyan, and Fuzzy Door Productions. Druyan and Brannon Braga will both write and direct, while Druyan, Seth MacFarlane, Braga and Jason Clark will executive-produce. The post Take A Behind-The-Scenes Look At Cosmos: Possible Worlds appeared first on ComingSoon.net.